The first day I met with my client (in 2013) in what would become his new (and wildly successful) second floor yoga studio and massage business, he shared that NOT once had he ever taken a yoga class. “Nope,” he replied somewhat sheepishly. “Then why do it?” I gently probed. He went on at great length about his vision of creating a community, the desire to give back to one of his favorite animal charities and finally, the yoga industry still saw growth in Portland, Oregon. And with that vision, he won me over. 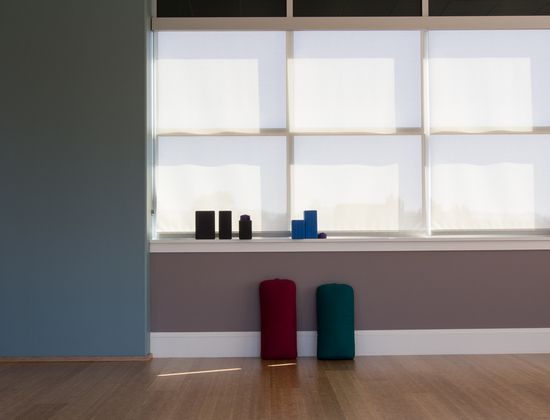 As a two-decade yoga student myself, I came into the project with an understanding of the space requirements, aesthetics, Feng Shui and the design psychology needed to attract a clientele that would make his new business thrive. And I knew he was following a place within himself that was guiding him to manifest this vision. 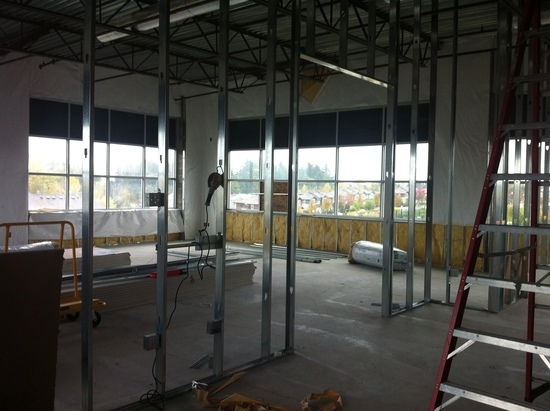 Oh, but wait until you see the transformation! Keep scrolling (just a bit more). “Visitors say they have a hard time leaving. In a very non self-promoting way, Cheryl told me color was one of her gifts. If I base all the compliments I’ve had on our colors here in the studio, I have no doubt about that. 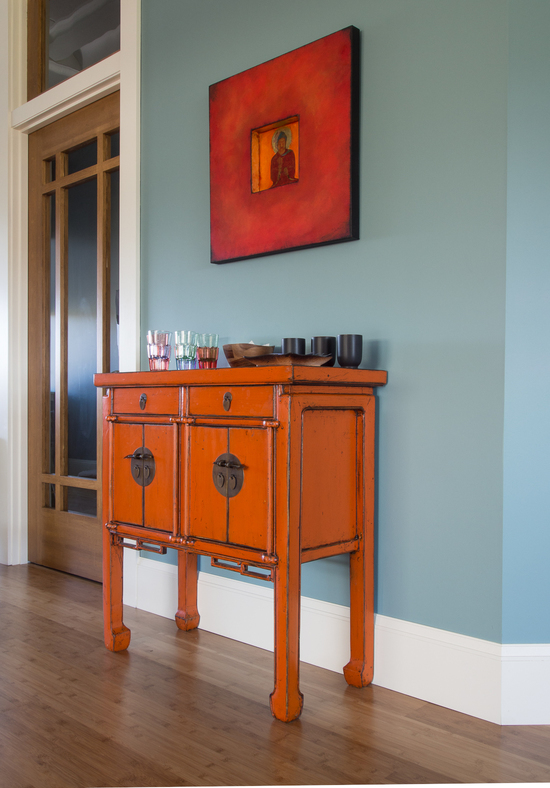 I often say intelligent paint colors can create magic in a wellness space. And magic it was during the design process of Yoga Omazing. 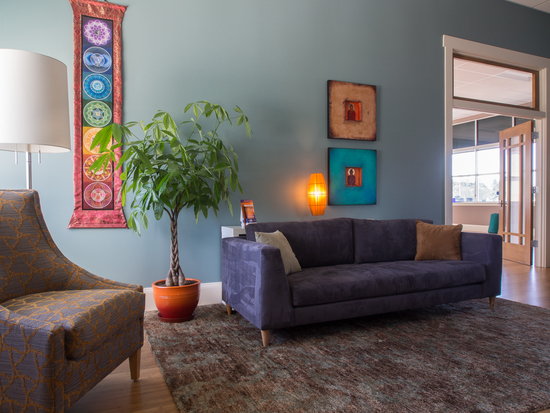 I dove right in to the heart of the yoga experience as perceived by the student and came up with a new design and color palette for this build-out that made both students and practitioners alike want to hang out in the space for extended periods of time. When your clients and patients love being in your wellness space even after it’s time to leave, you know you’ve got the makings of a very profitable business. It would be my honor to help.